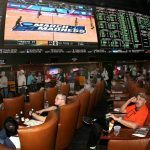 Las Vegas sportsbooks have less than a week before the men’s NCAA basketball tournament field is officially set, and those final days will prove imperative for oddsmakers who are struggling to determine which team is college’s best. March Madness will fill out its bracket this Sunday, March 12, as 64 teams plus four play-in schools will compete in the single-elimination tournament. 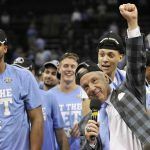 The final team standing will be declared the national champions, but as of today, Vegas sportsbooks aren’t quite sure which team has the best chances of cutting down the nets. At William Hill, UCLA is the favorite at 6-1. The Bruins are followed by Duke and North Carolina (7-1), and Kansas and Gonzaga (15-2). Walk south down the Strip to Caesars’ sportsbook, and you’ll find Kansas as a heavy favorite at 6-1. Head north to the Stratosphere, and Gonzaga and Kentucky have the slimmest odds at 11-2. From one sportsbook to the next, those who set the odds can’t seem to find unison in picking a favorite. And that can be good for bettors who can shop around for the best offers on their chosen squads. An estimated 70 million brackets will be completed this year, but one won’t be from President Trump. The 45th commander-in-chief declined to continue President Obama’s tradition of filling out a presidential bracket. The NCAA, college sports’ governing body, is heavily opposed to any expansion of sports gambling. The association led a lawsuit against New Jersey after the state tried to legalize betting on pro and amateur games in the Garden State. But when it comes time for March Madness, the NCAA has little hesitation in talking odds. On the official men’s basketball tournament website, the NCAA discusses in length about how #16 seeds are 0-128 against #1 teams in the first round. 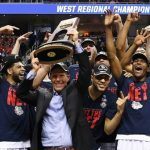 Of the millions of brackets that are filled out each year, with many being contested for money amongst friends and coworkers, just 1.45 percent participating in the NCAA’s Bracket Challenge picked Austin Peay over Kansas last year. But 2.85 percent took Hampton over Virginia, and that highlights a growing trend. Five years ago, no #16 seed received even one percent of the brackets cast. 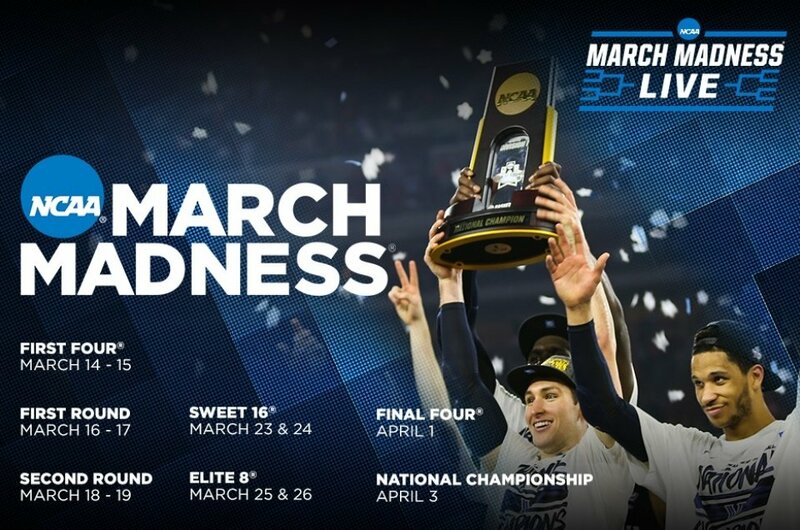 The next two or so weeks is some of the best television viewing for sports fans. One game after another keeps Americans on their couches and recliners. It’s also a wildly popular time in Vegas. Casinos are readying for an influx of sports bettors, and some venues like the Westgate are all-in. The casino turns its theater into “Hoops Central,” a smoke-free, 1,500-seat space featuring giant HD screens and food and beverage specials. However, the majority of bets will once again be placed via less than legal means. In addition to the untold millions of dollars in casual bets placed among friends, online books will also pull in large sums of cash. Bovada has North Carolina and UCLA tied as the favorites (6-1), followed by Kansas (7-1), Gonzaga (8-1), Villanova (10-1), and Duke (11-1).